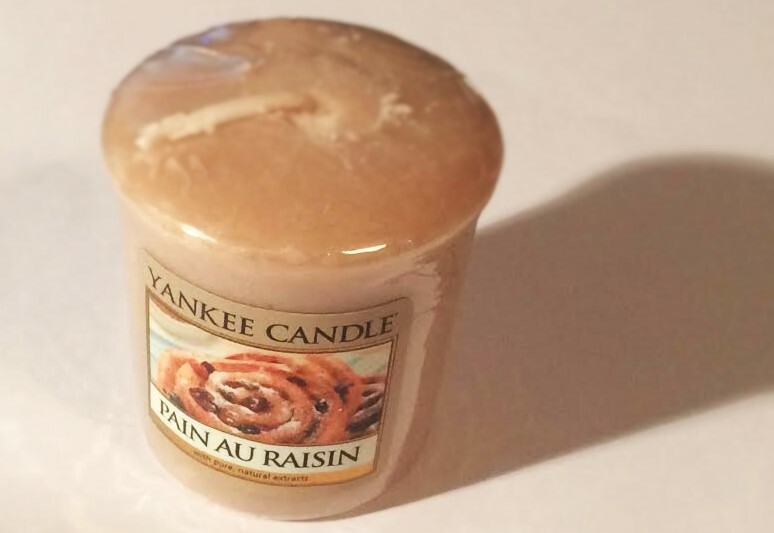 Today I am going to be writing about the 'Pain Au Raisin' candle by Yankee Candle. I love my candles, especially Yankee Candles, and seeing as I got a pack of their votive candles for Christmas, I thought it might be a good idea to blog about them and give my opinion on them. The Pain Au Raisin candle is the first votive I have tried out from my pack, and on the front of the packaging it has a picture of a pastry, which is exactly what it smells like. I really like this candle, purely for the reason it's not overpowering in terms of smell, you just get a nice subtle smell of pastry and raisin which is lovely. In the past, the Yankee Candles I have owned have always been the big jars, but actually, I think the votives are quite a nice idea to try out lots of different fragrances and discover what scents you like and don't like. Overall, I'm very impressed with the Pain Au Raisin fragrance, and would definitely consider buying the bigger jar in the future! I really like this scent too. I love trying out the smaller Yankee Candles first, especially because they're so affordable! I smelt this the other day and loved it! This candle is really lovely, I highly recommend it! I love yankee candles and even make my own candles some times, just love the smell of them and this one sounds yummy! Oh wow that's amazing! What candles have you made? Love Yankee candles not tried this one before! You should definitely try this one!